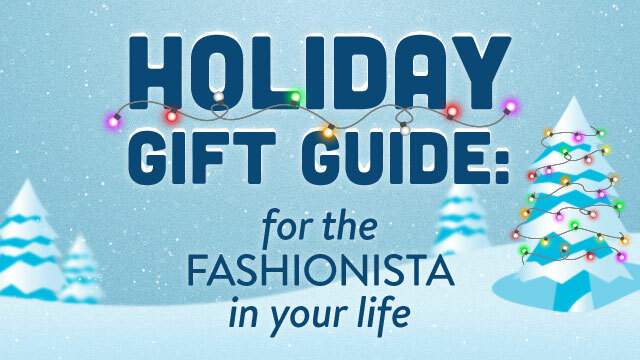 The fashionistas in your life are arguably the hardest to shop for. What do you get the most stylish person you know, who always seems to have the trendiest items before everyone else? The answer is simple: a protective case for the latest must-have smartphone or tablet that’s just as stylish as they are. Not sure what color or pattern your fashionista is obsessing over these days? No worries, the experts at Speck do! We have a huge variety of colors for any picky fashionista, including brilliant patterns to match the latest must-have accessories. We keep up on the latest trends, so you don’t have to. CandyShell Inked for iPhone 5/5S, iPhone 6 and Galaxy S5. These protective cases have the high-style, high-res graphics that will make any fashionista look like they just stepped out of the pages of US Weekly. StyleFolio Tablet Cases for iPad Air, Google Nexus 7, Samsung Galaxy Tab, and more. This sleek, stylish and protective case is a must-have for whatever tablet they love. Plus, it’s the #1 best-selling tablet case in the U.S. Who can argue with that? Matching CandyShell Inked Smartphone and StyleFolio Tablet Patterns. Yes, that’s right, we said matching. There’s nothing a fashionista loves more than a pulled together look, and it’s easy to do with our fresh patterns for both their smartphone and tablet. MightyShell Clear for iPhone 5s and iPhone 6. If your fashionista loves the gold or colored iPhone they recently snagged, let them show it off while staying protected against damage with a clear case. Still have more on your list? Check back next week for our continuing gift guide series.